I’ve essentially given up all diversity. 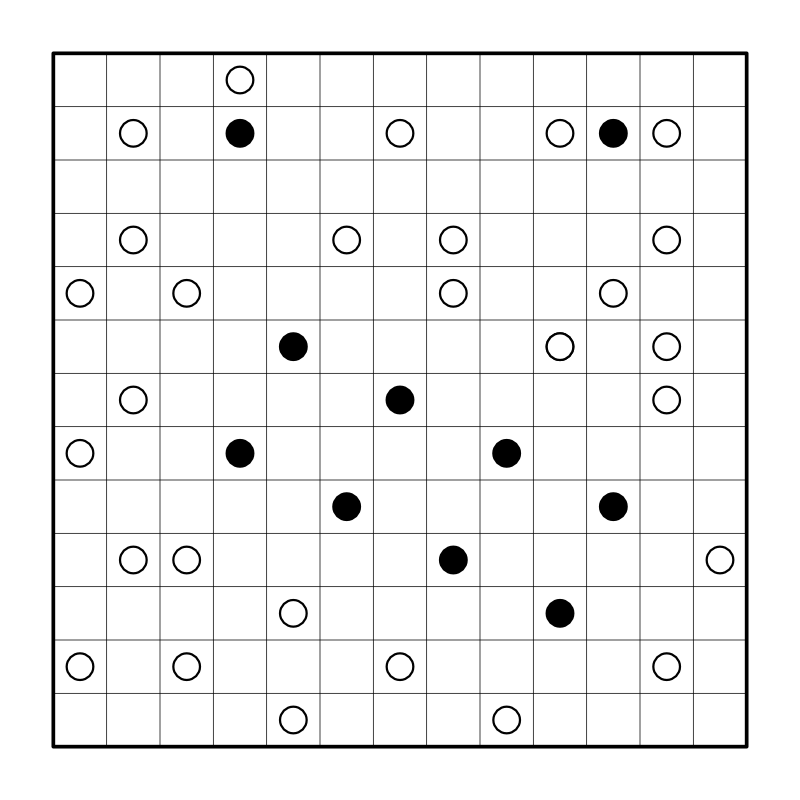 Another puzzle, another Masyu. 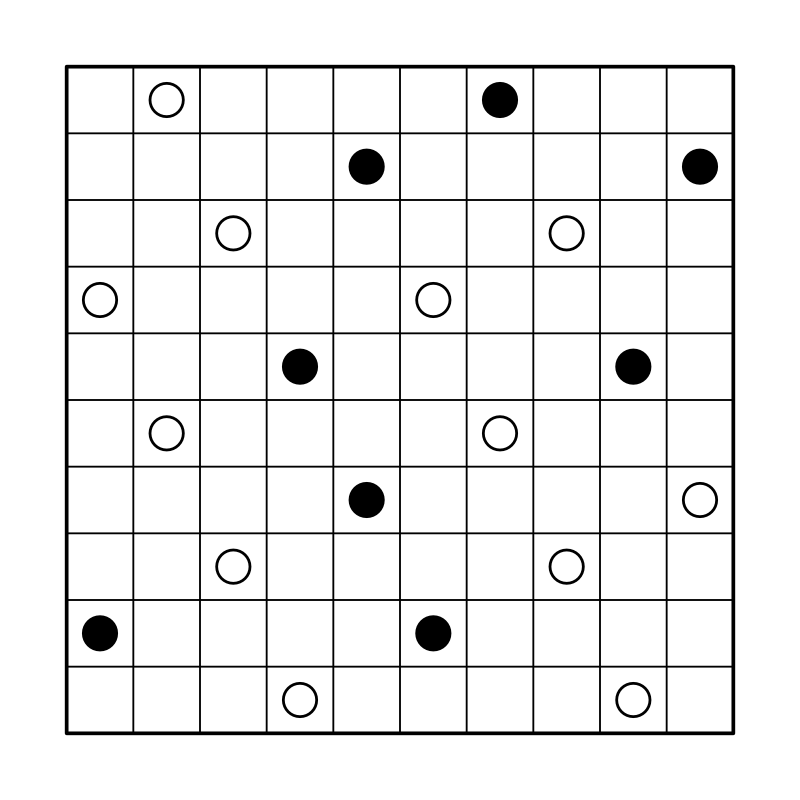 I can’t accurately determine difficulty, but this is hopefully somewhat hard, which could explain the only mild visual pattern (of black circles and whites surrounding). If I get feedback that this is indeed tricky, it could be added to the hard category.